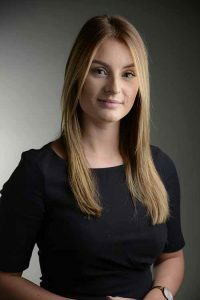 In response to a significant number of new customers switching to Ultraframe this year, Lucy Russell has been appointed as New Business Manager, a role designed to ensure new customers can quickly and efficiently begin to install Ultraframe roofs. Reporting to Sales Director Colin Noone, Lucy’s appointment reflects the growing number of retail installers taking advantage of Ultraframe’s vast roof and component range. Commenting on Lucy’s appointment, Colin says: “Lucy’s experience is a real reflection of the importance we place on ensuring new customers have a seamless experience as we welcome them in to the Ultraframe network. We don’t take for granted the amount of decision making that goes into switching roof suppliers so it’s vital that once that decision is made we make the process as effortless as possible for the installer.